LOS ANGELES (AP) — On "The Ed Sullivan Show" in 1967, Joan Rivers joked about society's double-standard for women. "A girl, you're 30 years old, you're not married, you're an old maid," she said. "A man, he's 90 years old, he's not married, he's a catch." 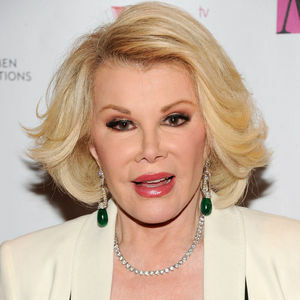 Add your thoughts, prayers or a condolence to Joan 's guestbook. "I miss her very much. She made many laugh when they otherwise wouldn't laugh!🍀😂"
"Joan what a great lady! She said things her way without worrying what people thought. She just loved to be funny. She overcame things in her life, kept going even in the darkest times. She ..."